Regardless of whether it is a layperson or a professional rescuer, AHA/ERC Guidelines place a greater emphasis on the importance of effective CPR in increasing survival rates after out-of-hospital cardiac arrest. 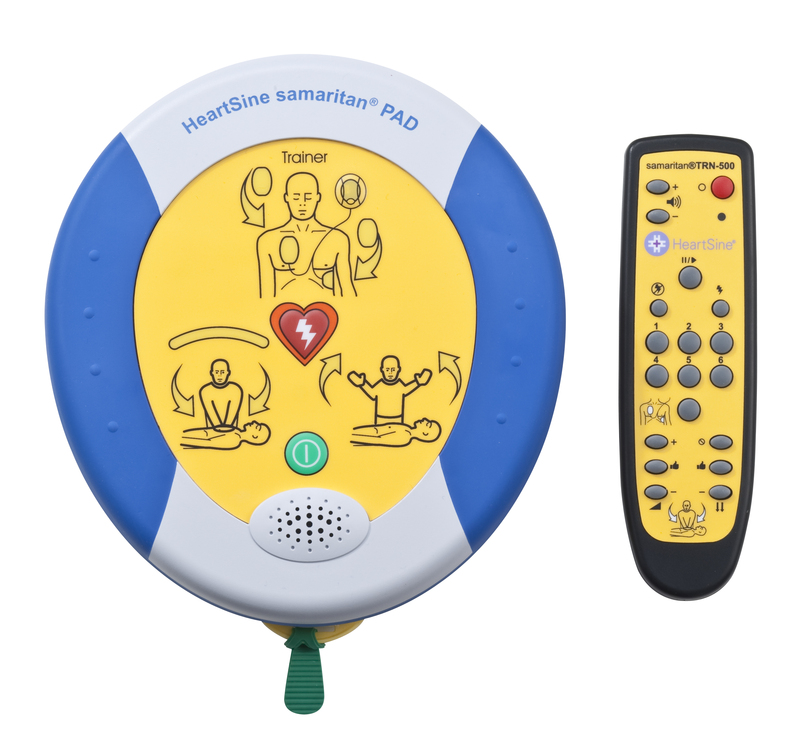 HeartSine® samaritan® PAD 500P defibrillator with CPR Advisor is the most innovative device available to support these guidelines, giving rescuers feedback on the effectiveness of their CPR efforts – in real time. CPR, Cardio (heart) Pulmonary (lung) Resuscitation, combines compressing the heart to circulate blood to all the vital organs and, at the same time, breathing into the victim to supply oxygen. The 500P defibrillator provides the rescuer with real-time instructions regarding compressions with audible “Good Compressions” or “Push Harder,” “Push Faster” and “Push Slower.” These instructions also are displayed on the face of the device in order to ensure the rescuer performs the most effective CPR. Impedance Cardiogram (ICG) analysis is embedded in the software, which guides the user in the required force and speed of compressions for the victim. The ICG measures impedance changes in the chest cavity, which helps determine effective CPR. Because the ICG is related to how fast the compressions are applied, as well as how hard, the 500P can guide the user on both rate and depth.